The 40ft Hatteras - Lady Sarah comes from a lineage anchored in 60 years of distinguished craftsmanship, only Hatteras vessels are engineered to excel in higher seas at higher speeds. Their perfect balance of weight, speed and hull design deliver a smooth ride that can only be defined as pure Hatteras. 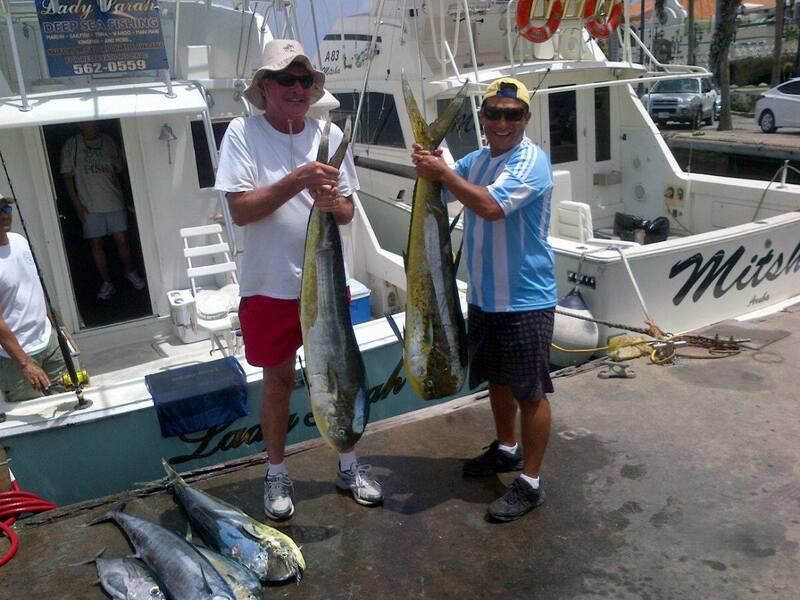 This very experienced Captain Dennis will get you around Aruba in style. 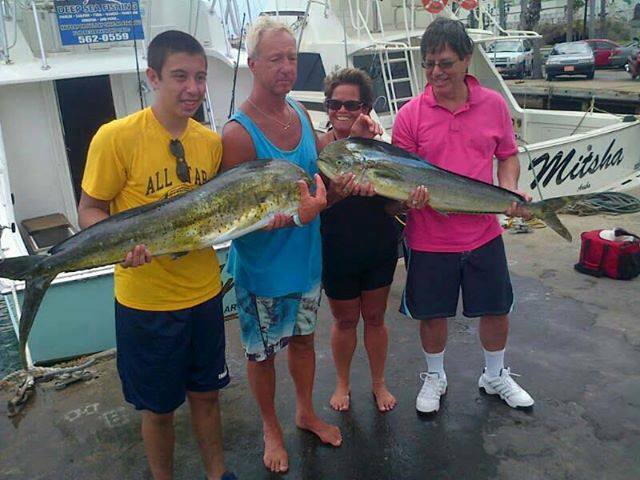 Charter his vessel for an amazing fishing trip and in the privacy of your own group of family or friends. 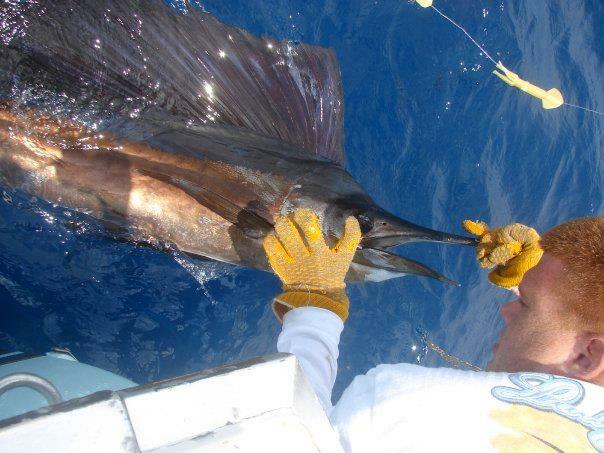 He has many years experience in fishing around the Island as well as abroad and is familiar with all fishing techniques. 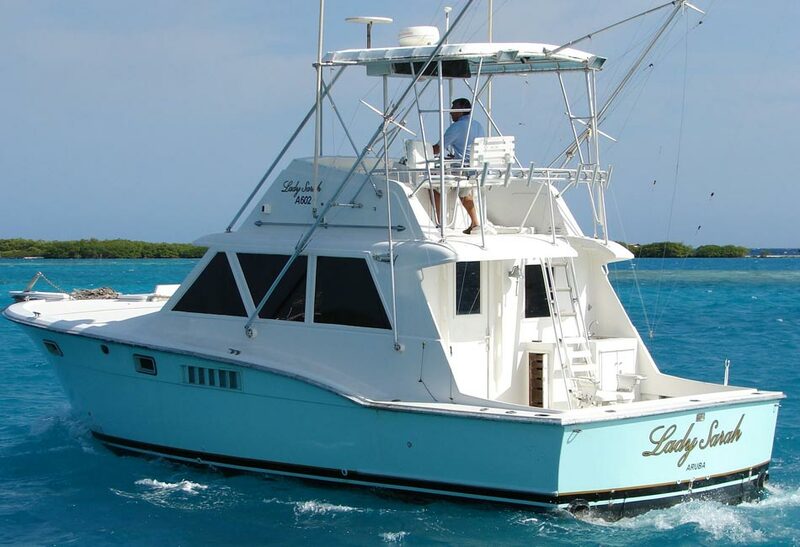 The 40ft Hatteras - Lady Sarah is a luxury vessel that comes equipped with all you will need for an unforgettable day on the water. 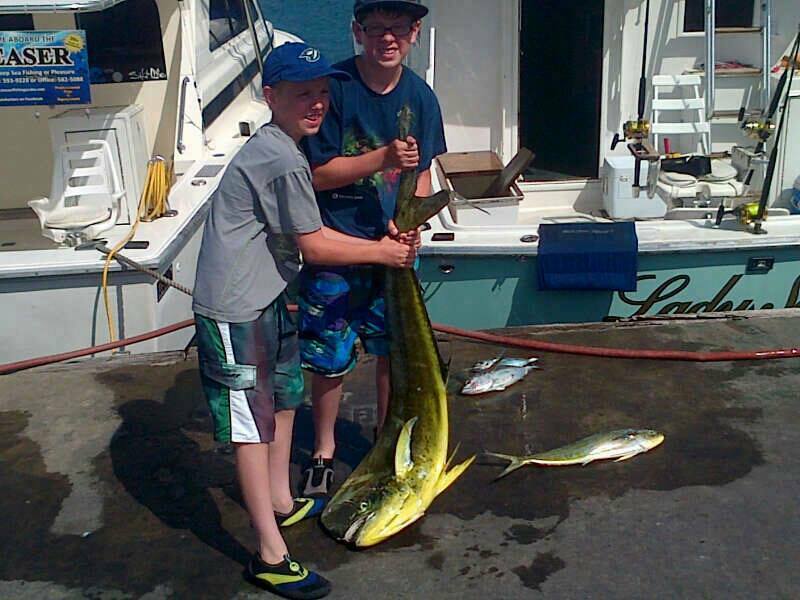 The boat is comes with a full range of top of the line fishing equipment but also has the conveniences needed including airconditioned cabin, full toilet, fridge and a top of the line crew. 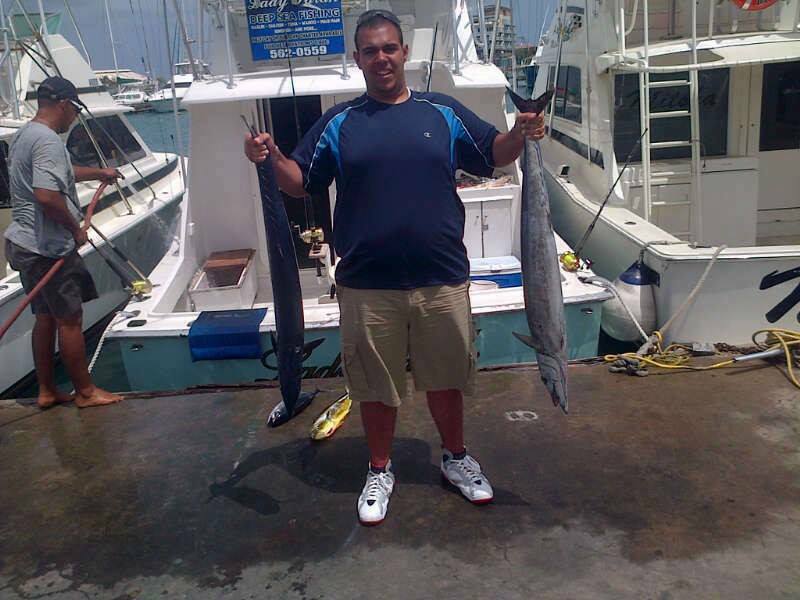 FISHING TRIPS - The crew is skilled in fishing for Wahoo, King Fish, Tuna, Mahi Mahi, Sail fish and Marlin’s and will clean any catch for you to have cooked in one of the local restaurants.